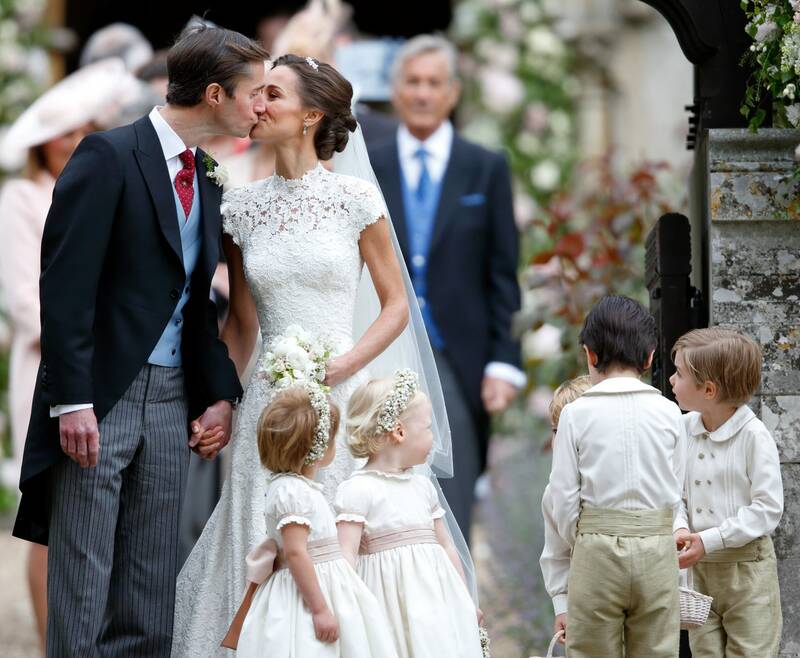 Although it might have been a dumpster fire for the rest of us, 2017 looked like it was certainly a wonderful year for the royal family: There was Pippa Middleton‘s instantly-iconic May wedding, Kate Middleton‘s pregnancy announcement about Baby No. 3 in September, and last, but very certainly not least, the December news of Prince Harry and Meghan Markle‘s engagement and their subsequent first Christmas together. (Now if only we could fast-forward to the May 19, 2018, wedding date.) Between these events, of course, were adorable royal toddler birthdays and a very special wedding anniversary. Here’s a look back at 22 of the royal family’s best moments from 2017, from a queenly encounter with an elephant to a Vanity Fair interview that set the internet ablaze. Read on, royal-watchers: there’s lots a good stuff ahead—and even more to come in the new year. Let the royal baby watch begin! April 10, that time Queen Elizabeth shook hands with Donna the elephant. OK, really she was just feeding Donna at the opening of the Whipsnade Zoo’s new Elephant Centre. But it looks like they’re introducing themselves, right? The zoo also introduced a baby elephant named “Elizabeth” for the Queen in honor of Her Majesty’s 90th birthday in 2016. April 16, when Kate displayed her perfect curtsy. There was a lot to curtsy about in 2017, but one of our favorites is the curtsy that Kate Middleton did for Queen Elizabeth on Easter Sunday. The love on Kate’s face is so real. April 30, when the royal family celebrated Princess Charlotte’s second birthday. The Duke and Duchess of Cambridge unveiled a new photo of their daughter for the occasion, in which Charlotte looked every bit the royal princess she is. 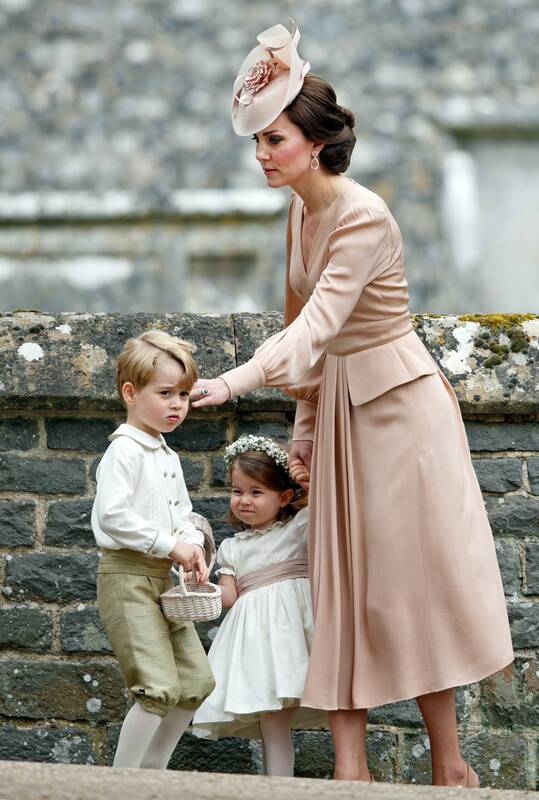 May 19, when Pippa Middleton got married—and the day was stolen by the adorable Prince George and Princess Charlotte. We’re guessing their aunt wasn’t even mad that her niece and nephew captured a few hearts on her big day because they were just so hilariously cute and entertaining. July 16, when Camilla, Duchess of Cornwall turned 70. And the royal family posted this photo of her smiling next to Prince Charles to prove it. Fast-forward to December, and we all know that Kate Middleton is pregnant. But remember back in July when we didn’t, and the Duke and Duchess of Cambridge took Prince George and Princess Charlotte to Poland on the family’s second official outing, and Kate made a joke about having “more babies”? Yeah, that was fun. July 19, when Princess Charlotte gifted the world an adorable royal curtsy. It happened when the couple visited Germany. You have to click here to watch the video. But her form! Clearly, she is learning from the best. July 21, when Prince George got his very own birthday portrait. You know what they say: what you do for one kid you have to do for the other. So Will and Kate couldn’t not have an official birthday portrait taken of George since they did one for Charlotte. And we’re here for it. July 8, when Duke William and Prince Harry opened up about Prince Diana publicly for the first time. Timed to the 20th anniversary of their mother’s death, Will and Harry participated in the TV documentary Diana, Our Mother: Her Life and Legacy and released some never-before-seen photos from their lives growing up with Diana. August 2, when Prince Philip retired after 22,219 solo engagements. Well sort of. It was his final solo appearance at an official event, which is basically the same thing. Since 1952, the Duke “has carried out 22,219 solo engagements, 637 solo overseas visits, given 5,496 speeches, and authored 14 books,” according to the royal family’s official instagram account. Now that he has some more free time, maybe he’ll reconsider watching The Crown? September 4, when Kate announced that she was pregnant with Baby No. 3. Kensington Place took to social media to break the news that the Duke and Duchess of Cambridge were “very pleased” to be growing their family by one more baby. Apparently “the Queen and members of both families are delighted with the news.” The baby is expected to arrive sometime in April 2018, but William has hinted it could be sooner. Before news of their engagement broke, Meghan Markle gave a revealing interview to Vanity Fair in which she proclaimed for the world to read that she and Harry were “really happy and in love,” and then we did not stop talking about it for months. September 7, when Prince George showed up for the first day of school. September 25, when Prince Harry and Meghan Markle made their first official public appearance together. The blessed moment happened at the Invictus Games in Toronto. They were first spotted at the opening ceremony, though they sat in different seats. But eventually, we got the PDA we’d all been hoping for when they were spotted holding hands and later shared a quick kiss in the stands. October 31, when Prince Harry joined Michelle Obama to surprise a group of Chicago students. The former First Lady and Harry joined former President Barack Obama at Hyde Park Academy in Chicago, which is across the street from the future location of the Obama Presidential Center on the South Side of Chicago. Don’t you love this transatlantic bromance? November 20, when Queen Elizabeth and Prince Philip marked their 70th wedding anniversary. The palace released four portraits of the long-long-time couple, taken at Windsor Palace, to mark the occasion. The Queen and Philip married at Westminster Abbey on November 20, 1947. 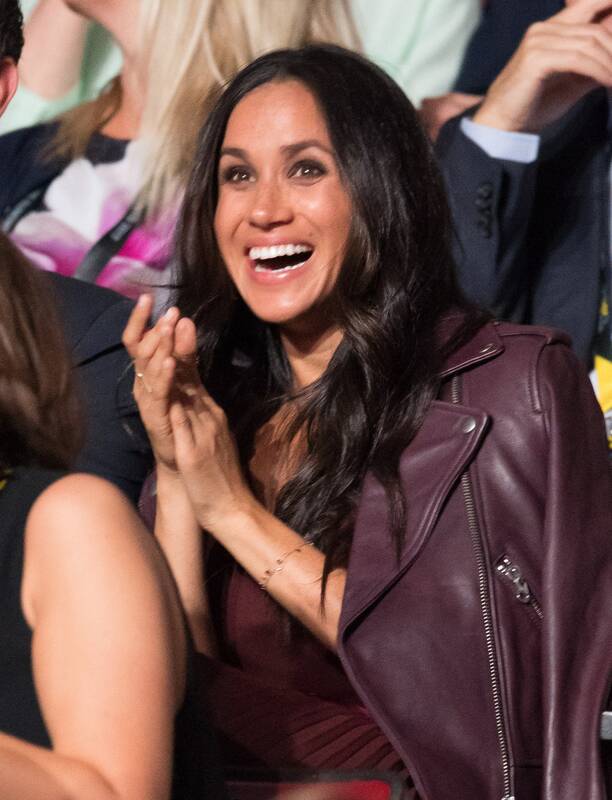 November 27, when Prince Harry and Meghan Markle finally announced their engagement. 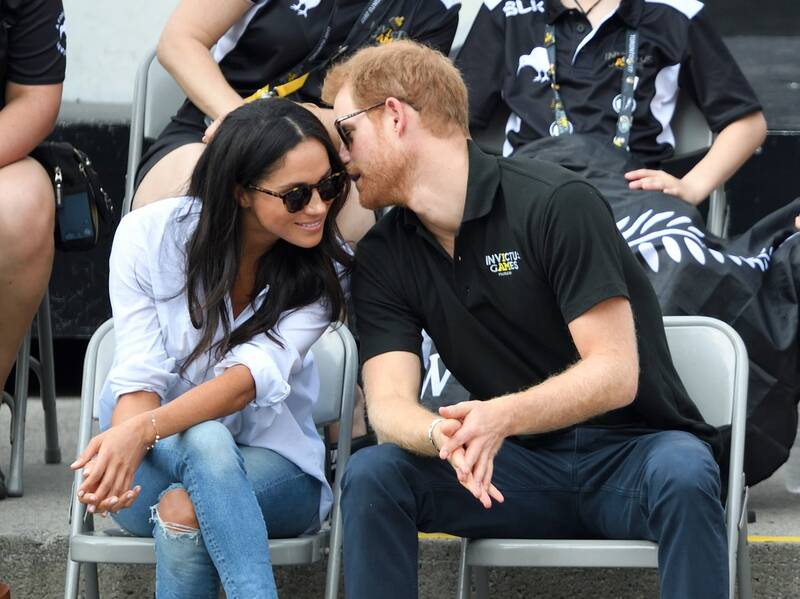 After months (and months and months) of speculation, the world celebrated when the royal family finally announced the engagement of Harry and Meghan. And then we instantly began dissecting everything about the interview they gave to the BBC right after. 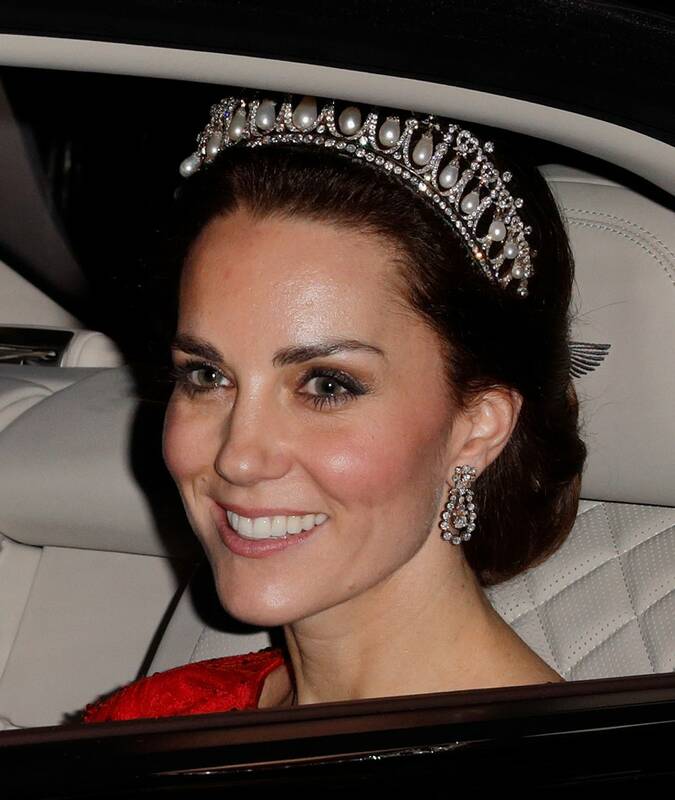 December 4, when Kate wore Princess Diana’s tiara. Hard to believe that Kate has only worn a tiara six times, which made us all the more glad to see her with her late mother-in-law’s iconic tiara, also known as the Cambridge Lover’s Knot, sitting atop her head. December 21, when Prince Harry and Meghan Markle released their incredible engagement photos. The couple said they were “so grateful” for all of the warm wishes they received. They also might be the most photogenic people on the planet. December 25, when Kate and Meghan (alongside Will and Harry) made first public appearance together at Christmas with the Queen. They look great together, don’t they? This is also the day we got Meghan’s first-ever public curtsy. December 27, when Harry interviewed Obama for the BBC.